This cookbook consists of appropriate recipes for different occasions celebrated by Malays throughout their lives and specifically from my own family celebrations. The chapters in this book starts off from the birth of a life and ends with the occasion of death and what kind of menu fits into each occasion. Sprinkled all over my book are traditional use and old-folks remedies of ingredients and kitchenware frequently used. Family heirloom recipes, focusing on the celebratory of Cukur Jambul & Akikah to welcome a newborn into the world. Appropriate for today's lifestyle of limited time and limited space to store multiple ingredients, this cookbook has 100 recipes using only 5 basic ingredients and can be cooked in 15 minutes. Perfect for working mums & dads, students, the elderly and everyone who is always rushing for time! Eleven ingredients mentioned in the Al-Quran was handpicked and used as a base for 111 contemporary recipes, highlighting that ingredients from 1,500 years ago which was enjoyed by Prophet Muhammad (pbuh) are still applicable today. Every recipe in this book uses fish as the main ingredient. Laksa Johor, Botok-botok, Asam Pedas, Pulut Panggang to name a few are such recipes in this cookbook. Fish is the main staple ingredient in my household and makes this such an easy cookbook to write as they are dishes I cook daily at home! All the classic Hari Raya dishes is compiled in this one book. 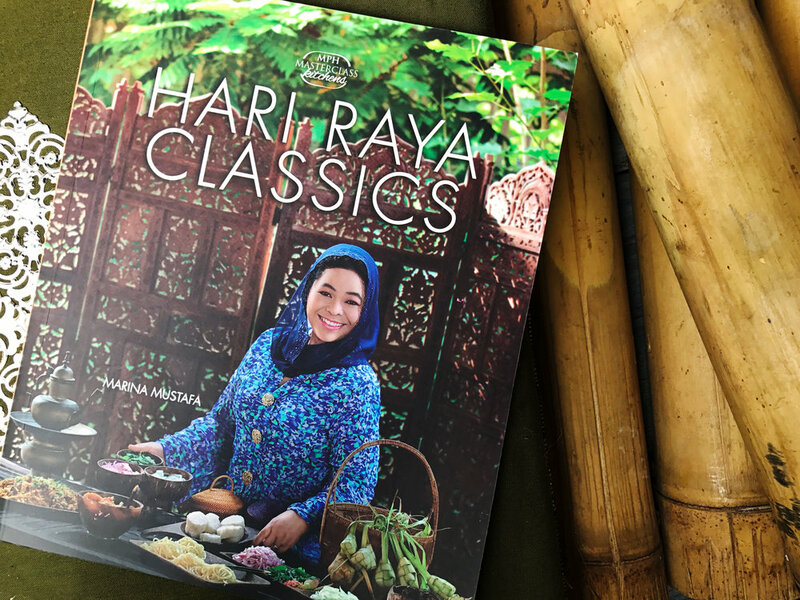 The treasures of Hari Raya..like Rendang of every state, Serunding, Lemang & Ketupat are all gathered in Hari Raya classics for past, present & future generations. There are also step by step tips & guides on how to make Hari Raya preparations a breeze. This cookbook is a collaboration with Philips Malaysia, primarily of Malaysian dishes, focused on cooking with an electric pressure cooker. Nasi Lemak in 15 minutes, Salted Fish & Pineapple Gulai in 20 mins, Mee Rebus Tulang in 30 minutes! There will no pressure when cooking under pressure! There are so many similarities between Western & Malaysian local food. Food such a churros & cakoi, Minestrone & Sup Sayur, Cornish Pasties & Karipap, Lasagne & Murtabak Lapis are very similar yet different. 100 Makanan Timur & Barat brings both similar Western & Local recipes side by side, to highlight our similarities! A comprehensive cookbook, comprising of mouth-watering recipes, a menu-planning guide, myths vs facts of breastfeeding, tips on dealing with colic babies and a nutritional value for every single recipe. Month to month recipes for toddlers from the age of 6 months to 12 months and ideal for the whole family. A collaboration with Philips Avent using the Steamer Blender for each recipe. A basic Sambal Tumis recipe starts off, followed by 30 well-loved Malaysian dishes that uses the basic recipe as a base. One simple Sambal Tumis recipe can turn out Ayam Percik, Spicy Beef in Soy Sauce, Pandan Chicken, Chilli Crab & Mee Bandung to name a few. Written in English & Bahasa Malaysia, Everything Sambal is designed to be useful in all Malaysian kitchens!